At 500 test pieces per minute, QuickCell guarantees the industrial user a complete, self-sufficient working test system which can be integrated seamlessly into all assembly lines - all this at a reasonable price. 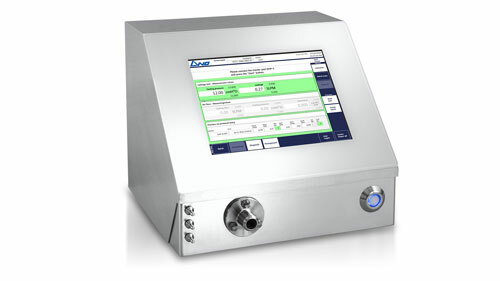 This new kind of leak test system consists of a multi-channel device. It is in the position, during continuous cycling, to perform a leak test using pressure increase measurements in a pre-evacuated secondary volume, to analyze results and transmit the test result (leak value) to an exterior visualization station. It is also possible to test using over-pressure and then measure pressure reduction. The measurement procedure is determined by the corresponding station Setup. q leak = V x dp / dt [mbar*L/sec]. The large leak detection results from the achieved test pressure. Functional and leak tests on pharmaceutical and cosmetic mass produced items. 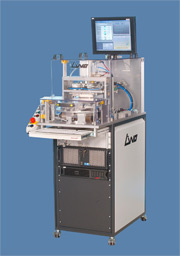 Systems concepts for product rate of up to 500 parts/min. Leak and flow tests on complex injection molded parts. Designed for mainly use in Cleanroom and Laboratory Environment. Product specific leakage and function test.